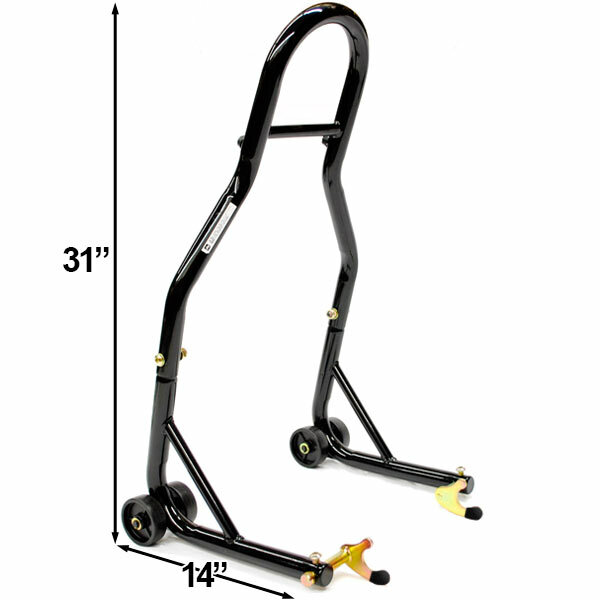 The front fork stand allows easy and safe lifting of the front wheel for repair, maintenance, and storage. The extra heavy duty steel construction guarantees long life and durability in all conditions. The front stand is supplied with "under-fork rubber coated" adapters as standard equipment, the stand will not scratch or damage your forks. Stand is supplied with four wheels for stability in all sorts of terrain.